Mary Jane Dunson, age 66, was called home to the Lord at 9:50 p.m Friday, February 1, 2019, at Community Health Professionals Van Wert Inpatient Hospice with her family by her side. Mary was born May 25, 1952 in Bluffton, to the late Harold and Ruby (Fruchey) Miller. On June 12, 1976 she married the love of her life, Jim Dunson. Mary was employed with the Ohio Department of Transportation in Lima, where she was an Administrative Professional 4. 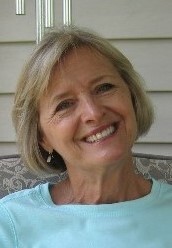 Mary enjoyed swimming, walking, M & M’s, Hallmark Movies and she was an advocate for a healthy life style. Her greatest joy was her grandchildren. Mary loved the Lord and was a dedicated member of the Lima First Assembly of God Church. She is survived by her beloved husband of 42 years, Jim Dunson of Lima; three children, Leslie (Anne Martin) Dunson of Cape Coral, FL, Lisa (Martin) Zelada of Chesapeake, VA, and Aaron (Kerry) Dunson of Georgetown, TX; five grandchildren, Haven, Ronin, Harlow, Titus and Cruz; three Brothers, Howard (Jodi) Miller, Marvin “Danny” Miller, Joe Miller; three sisters, Pamm (Bruce) Jones, Ruby (Randy) Greenland, Connie Hall and a sister-in-law, Judy Lauck. In addition to her parents she is preceded in death by a brother, Paul Miller; mother-in-law, Berniece Ellerbrock and a brother-in-law, Gary Lauck. Funeral services celebrating Mary’s life will begin at 11:00 a.m. Wednesday, February 6, 2019, at the Lima First Assembly of God Church, 1660 Findlay Road, Lima, Ohio 45801. Pastor Darrell Bucher and Pastor Keith Wilson will officiate the service. The family will receive friends from 2:00 – 4:00 and 6:00 – 8:00 p.m. Tuesday, February 5, at the First Assembly of God Church and one hour prior to the service at the church. Memorial contributions may be made to the family to establish education funds for Mary’s grandchildren.